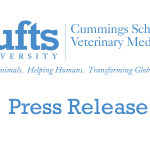 Tufts University’s Center for Animals and Public Policy will hold a two-day conference on the bonds between humans and horses on Saturday, May 15 and Sunday, May 16. The Elizabeth Atwood Lawrence Symposium, Hoofbeats and Society, will consider how to optimize the horse-human relationship, promote responsible horse ownership and encourage effective policies for horse rescue, adoption and humane death. Tickets for the general public and members of non-profit groups are just $40, which includes two days of seminars and lunch both days. Veterinarians are eligible for 9.5 hours of Continuing Education credit at the two-day symposium for $150. Registration is available online on the Continuing Education website. Speakers include the late Dr. Lawrence’s husband, Rev. Dr. Robert P. Lawrence, as well as foremost thinkers on the bonds between horses and people, including Dr. Sandra L. Olsen, Dr. Andrew Rowan, and Dr. Derek Knottenbelt. Dr. Elizabeth Atwood Lawrence, the symposium’s namesake, traveled with her husband to all seven continents so she could study different societies, the role animals played in them, and the interdependence of humans and animals—especially horses. She earned her veterinary degree in the 1950s—a time when women were discouraged from studying veterinary medicine and limited by quotas. 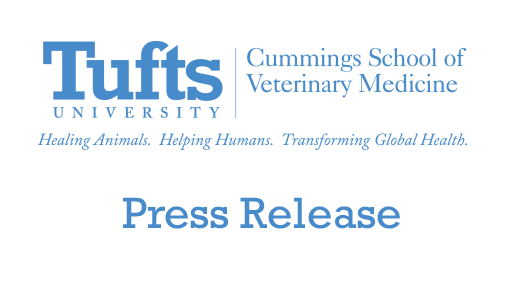 In addition to writing several books, she taught veterinary medicine at Tufts’ veterinary school from its early days in 1979 until she retired in 2001. The course she developed, on the animal-human bond, is a requirement for all first-year students.